Charitable giving in an estate plan does not just involve leaving money to a charity upon death. At every stage in life, everyone can take advantage of the tax benefits of charitable contributions even through a living trust, while supporting the social causes that are most important to them. 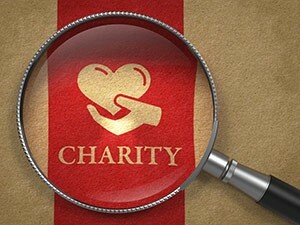 Morris Hall, PLLC, can help you look at your current financial situation and determine the best way to meet your charitable giving wishes, while benefiting fully from the tax advantages and other protections afforded by a charitable remainder trust, a charitable lead trust, or a family foundation. If such charitable entities are properly created, you can leave the extra benefit of protecting your assets from creditors, tax judgments, divorce settlements, and the required spend-down for long-term care. If you are an individual or family of high net worth, it can be very valuable to establish an advantageous manor to support a 501(c)(3) nonprofit or faith-based organization. There is no one-size-fits-all solution in a comprehensive advanced estate plan. The attorneys at MH work closely with Morris Hall accountants and Morris Hall financial planners to determine whether a family foundation is your best choice to meet your long-term planning needs. By looking at your complete tax situation, family circumstances and funding options, our experienced estate planning team can help you fulfill your charitable giving desires at every stage of life and income level. Charitable lead trusts: These reduce the taxable income by distributing a portion of the trust’s income to charities. After a specified period of time, the remainder of the assets goes to your beneficiaries tax-free. Charitable remainder uni-trusts (CRUT): While the trust creator is alive, a CRUT distributes a fixed percentage of the value of its assets to the trust creator or to a non-charitable beneficiary. After death or a pre-set period of time, the remaining CRUT assets are distributed to charity. Charitable remainder annuity trust (CRAT): Cash, securities, real property, or other assets are transferred into a trust that pays the trust holder income at a set percentage for life or a pre-set number of years. Upon termination of the trust, the remaining assets are distributed to the charity. Family foundations: Family foundations are often set up to distribute funds to a variety of charitable organizations. A family foundation affords the benefit of supporting special charitable purposes; producing a vehicle for family members to work together for generations in worthwhile charitable endeavors; providing compensation to family members for their efforts; fostering the activities and services set forth in the foundation documents.